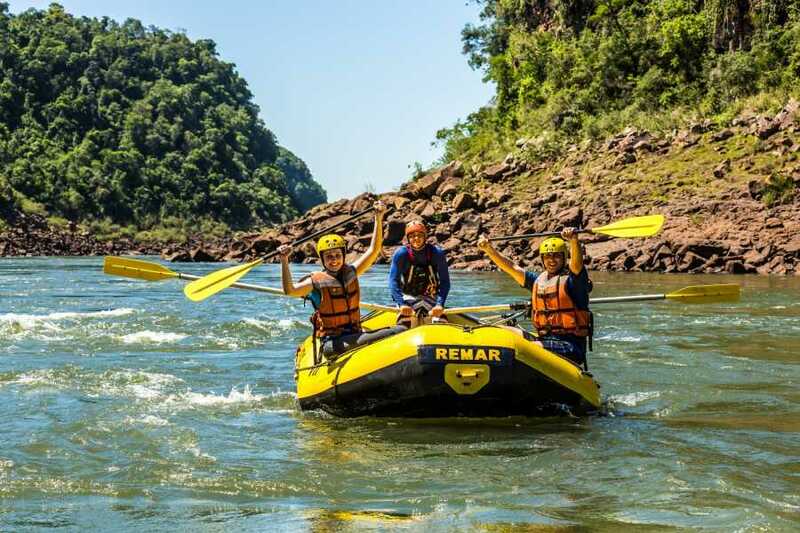 The Adventure Package is ideal for those travelers who want to do more than just visit the Iguazu waterfalls and desire an extra dose of adventure. You can get to enjoy the best of this marvelous destination through all of the comfort and convenience that only a specialized Inbound Tour company can offer. Upon arrival to the Foz do Iguaçu airport; you’ll be welcomed by one of our team members who will take you to your hotel in a private vehicle. 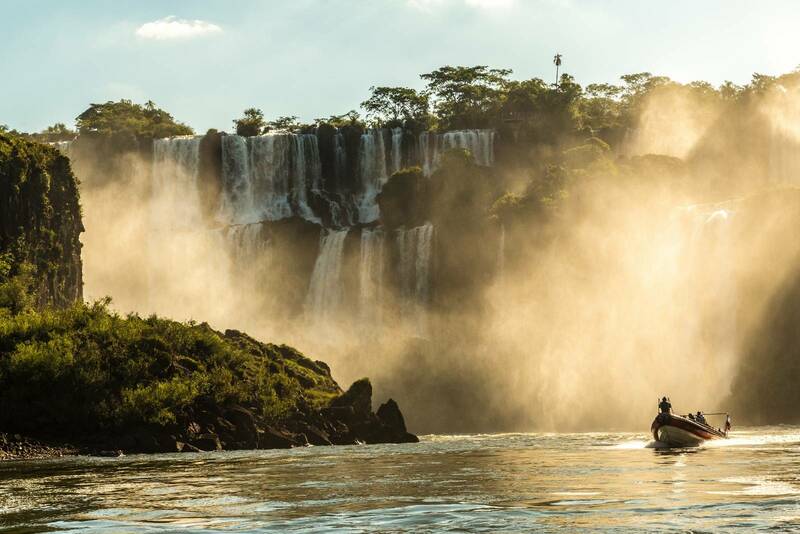 Once you’ve taken care of your check-in at the hotel, you’ll have the rest of the day to explore the city of Foz do Iguaçu. - You should take some time to enjoy a great artistic show of Latin-American dance and a tasteful barbecue at the Rafain Palace Show. 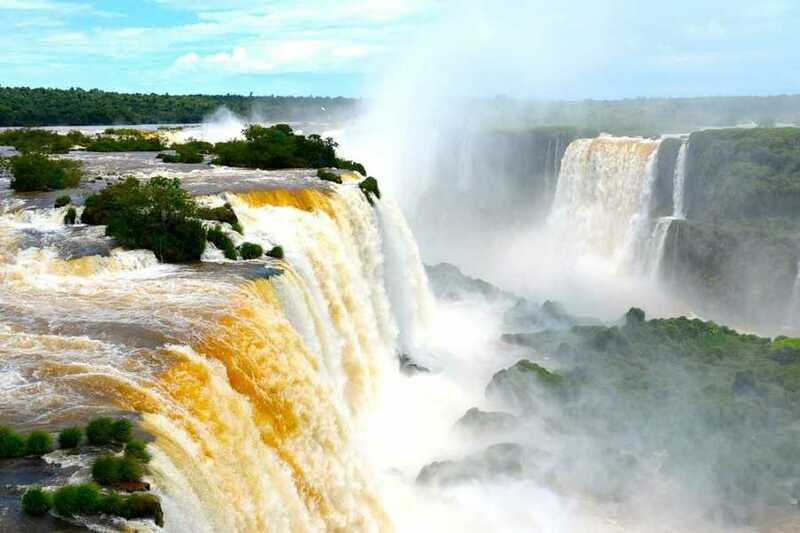 - You should cross the border to the city of Puerto Iguazú in Argentina and enjoy the great variety of restaurants and bars located on Cordoba Avenue. 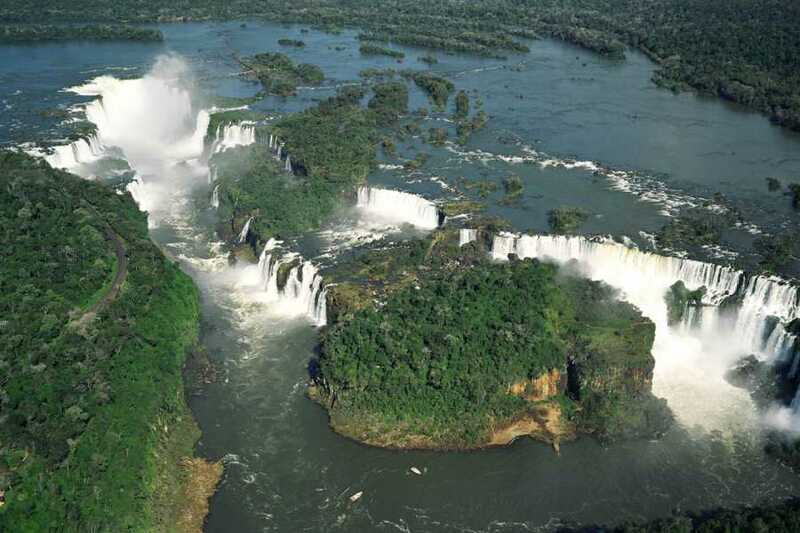 Breakfast at the hotel and departure at 9am to visit the Iguaçu Falls (the Brazilian side). 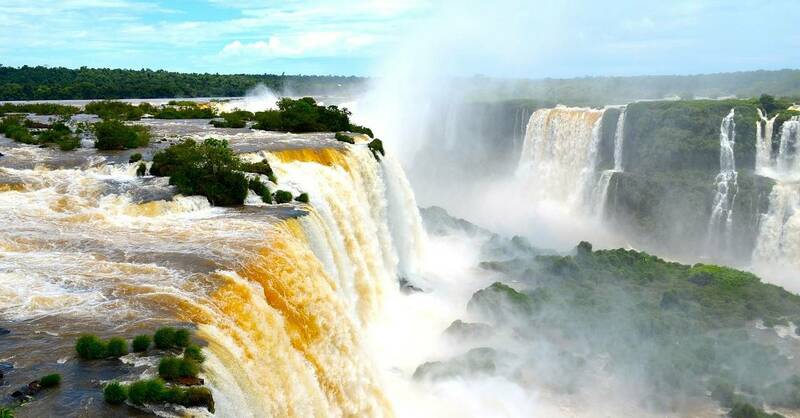 The Iguazu Falls are one of the most impressive waterfalls in the world; the subtropical forest of Mata Atlantica surrounds them. The access point to the National Park has a walk of approximately 1km in which you’ll pass through gazebos, bridges, and elevations that are great for taking photos. . Along the way wild animals like the Quati can be seen, as well as some birds and butterflies that give a special colorful touch to the park. After visiting the waterfalls, you’ll stat the Poco Preto ride; this is a 9km trail through the Atlantic forest, which can be done by foot, electric or conventional bicycle, or in a rugged terrain vehicles. Along the trail you’ll be able to appreciate the beautiful native fauna and flora. Once your trail activity has concluded, you’ll go on a boat ride on a twin engine boat and pass through the “Parrot and Herons’ Island”, where you can find an amazing amount of birds. During the boat ride you’ll have the chance to remain on the boat or take the chance to go through the river on a rowboat and pass through small river islands. Once the visit to the park has concluded, you’ll be transported back to your hotel. In the agreed time, our employee will pick you up at your hotel for the private transfer to Foz do Iguaçu´s airport.